Sgt. 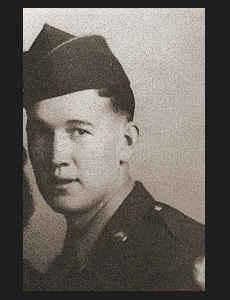 Hobert R. Taylor, husband of the former Agnes Baum, graduated from Hobbs High School, N. M. Entered Army in April, 1943, trained in Topeka, Kan.; served in England, France, Belgium, Germany and Austria; is now on duty in Germany. Awarded Good Conduct Medal, ETO Ribbon with three Battle Stars. (text per original 1940's publication).